As part of the GRID Enhancements Project funded by a State Natural Resource Management (NRM) Capability Grant, we’ve been working behind the scenes with Landgate to negotiate a better deal for access to data for the NRM regional groups. 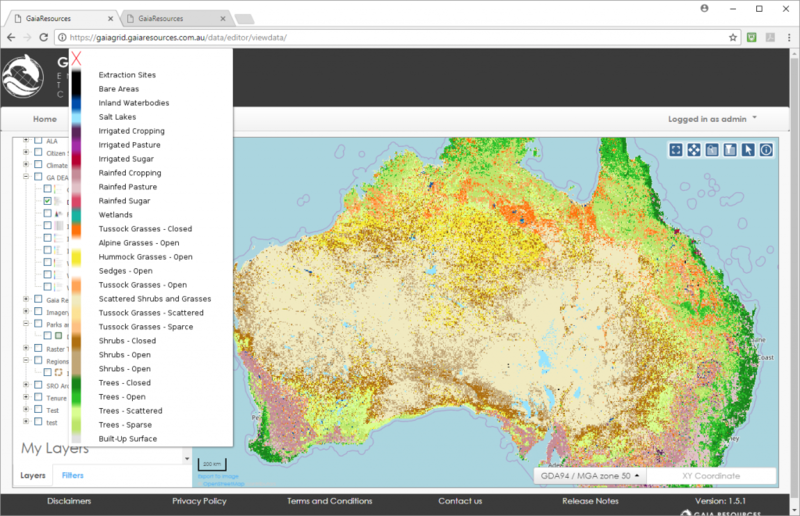 The Shared Land Information Platform (SLIP) has been running for a few years now, offering free and subscription based State government spatial data. More recently, the WA State Government adopted an Open Data Policy, and offer a catalogue on data.wa.gov.au to search for datasets from a range of government agencies and organisations. The free layers like local government areas, hydrography, roads and native vegetation have been used to good effect within the GRID applications for each NRM regional group (bar one) in Western Australia. Subscription services offered by Landgate – which includes cadastre, tenure, aerial imagery, and topography – were previously seen as too costly an expenditure for these not-for-profit organisations. Here at Gaia Resources we have been working with each NRM group to help them configure data layers on GRID and so had some insight into their collective needs and the impact of not having up to date information. We saw an opportunity to better define the value of the service, to make that transparent to stakeholders, and to negotiate a better deal with Landgate, and that has been now rolled out to all of the NRM groups that are part of the grant! The actual outcome is a significant reduction in the normal subscription costs, available to all of the NRM groups that we work with on this grant, from this point forward. Once signed up, NRM groups will be able to use GRID and other GIS platforms (such as the open source package, QGIS) to make this subscription data available to their staff and consultants. The other benefit of this work is that we have been able to raise a greater awareness in the NRM community of the data products that are available and how to them. I’d really like to thank the passionate GRID champions out there for their input and insight into their business, and the folks at Landgate who helped get this across the line. The benefits of broader data accessibility I believe are going to be profound for the NRM community. Given the current applications around the Regional Land Partnerships, which Piers is also going to blog about shortly, this is a really important time to be finding opportunities to collaborate and achieve efficiencies! If you want to know more about SLIP, GRID or about some of our other work, then feel free to drop me an email, leave a comment below, or start a conversation with us on Facebook, Twitter or LinkedIn.